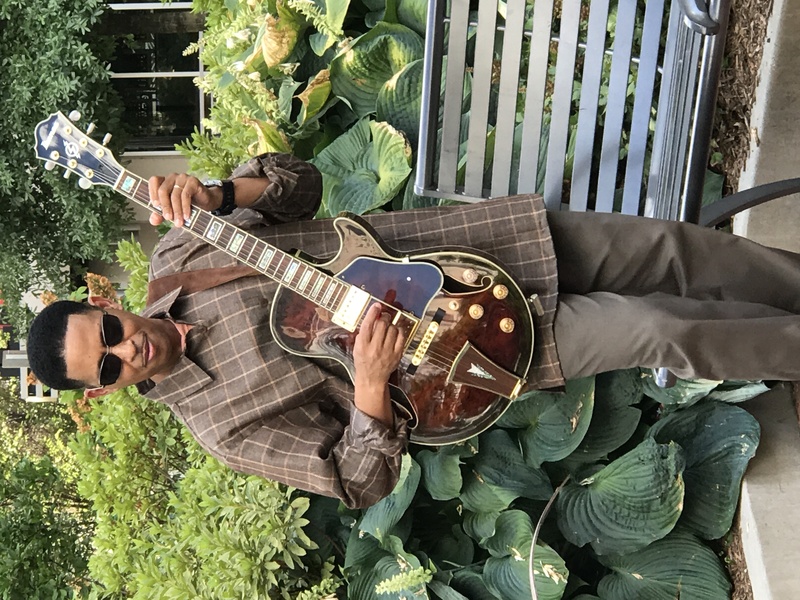 Hi, my name is Reggie Graves and I’ been playing the guitar over 35 yrs now. I’m a self taught musician, I learned my craft through being around some of the most incredibly gifted musicians you ever wanted to meet & that to me is priceless. And of course studying all the music books I could find to sharpen my skills as well. I’ve been teaching the guitar for about 18 yrs now! My passion for this instrument is endless. I knew at the age of 16 that I would be making a living playing the guitar. Over the years I’ve recorded with several national & local artist, toured the world with if you’re interested in becoming a songwriter I can help you in that area as well! gospel artist performed with jazz artist as well. One of my long term goals was to write, arrange & produce my own record which I had the opportunity to do so in 2016, now I’m currently in the process of writing, arranging & producing my first jazz project! I love all styles of music, I personally think it helps you to become a well rounded musician & it has itsadvantages. I’m in the process of building my website so I can post some of my performances later, however I do have a few links of myself performing at my church. So if you’re intereste in me teaching you or your kids please don’t hesitate to reach out to me. Thanks and God Bless! For a beginner who’s never had lessons before, I generally start with teaching them how to hold the guitar & the pick. Then I’ll teach them the letters & numbers of the strings. And if they learn thisprocess fast I began teaching some basic chords to develop finger coordination! I’ve studied music theory books on my own in with a de learned from! I charge $35 for a 30 min lesson, $45 for a 1hr lesson. 4 lessons in a month, if there is a a week in that month you pay same rate that apply to your lesson agreement! I require that you make full payment in advance the 1st week of that month!